The Apple Watch is pretty adept as a fitness device, but every person has different dimensions, which can lead to varying pace, distance, and calorie results for the same activity if a Watch isn’t calibrated properly. Here’s how to make sure you’re getting the best data. If you have an Apple Watch Series 2 or 3, onboard GPS allows calibration to happen automatically —so long as certain settings are switched on with your paired iPhone. In the iOS Settings app, tap Privacy, then Location Services. 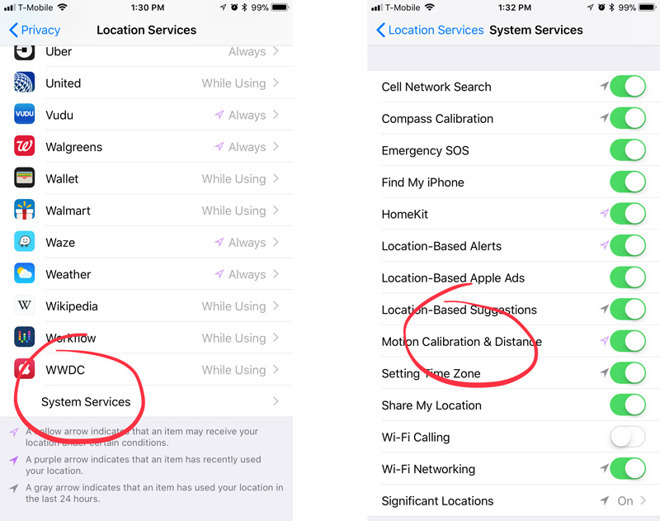 Make sure Location Services are toggled on, then scroll to the very bottom of the menu so you can select System Services. After that you should see an option to toggle Motion Calibration & Distance —as long as it’s on, you’re good. If you own a Series 1 or 0 Watch, things become a bit trickier, since those devices are dependent on an iPhone for GPS. 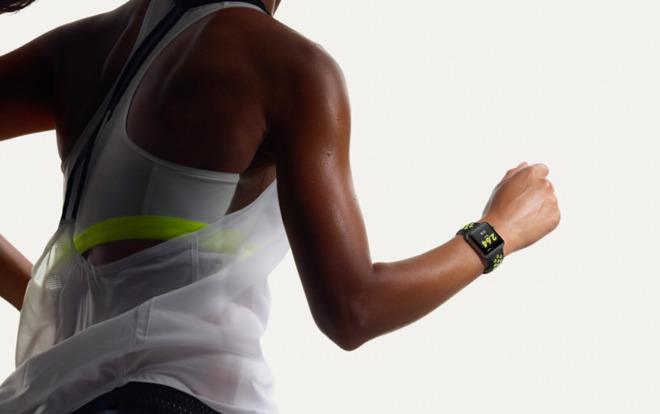 In fact you’ll need to leave home for one or more outdoor runs or walks with your iPhone in tow. For maximum accuracy, the workout area should not only be flat but have solid GPS reception —don’t try to calibrate when it’s overcast or raining, in other words. And be sure to either strap your iPhone into an arm/waistband or hold it in your hand. In watchOS 4, open the Workout app, then scroll until you find Outdoor Run or Outdoor Walk. Tap the “…” button over either one, and set a 20-minute goal. A single workout may be enough to set a baseline, but if you can’t manage 20 minutes in one go, you’ll have to complete the rest over multiple sessions. If both running and walking are a part of your fitness regime, you’ll also have to do separate 20-minute sessions for both paces. Once basic calibration is complete, a Series 1/0 Watch should continue to refine its performance whenever you’re performing an outdoor workout. 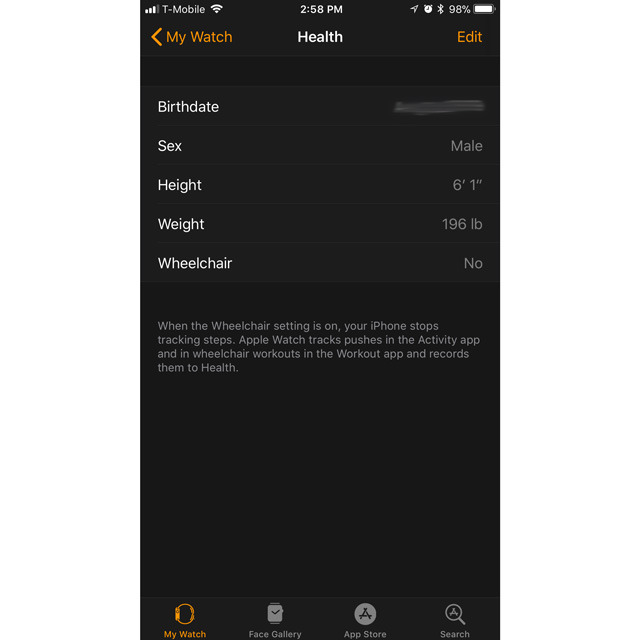 One final note: every Watch owner should make sure they have the correct personal data in the Watch app’s Health menu, located under the My Watch tab. Age, height, gender, and weight figures are used to estimate things like calorie burn, so if this isn’t kept up to date, calibration ceases to matter. Next Post Higher paying jobs, but fewer of them — better than lots of jobs in the service economy?